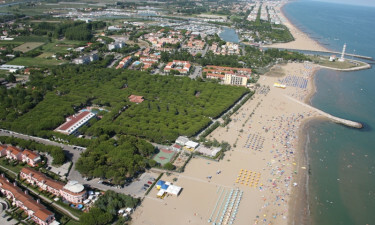 Camping Residence Village is set in the beautiful seaside resort of Cavallino. It is adjacent to the picturesque beach and turquoise sea; and is a favourite for families want a luxury camping site with state-of-the-art amenities and lots of fun things to do. 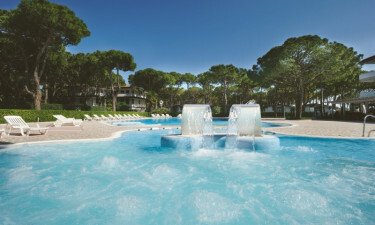 It is also just walking distance from the famous resort of Jesolo. Please visit Lux-Camp now to get more interesting information. There is a fantastic choice of luxury camping accomodation including: a bungalow tent, a luxury tent, or a mobile home. If you like sailing or surfing, swimming in the pool, tennis, table tennis, golf and mini-golf, then this holiday camping site has it all. There are also bikes for hire to explore the magnificent scenery and natural surroundings, and a plethora of organised sports and exciting activities for adults and children. Why should I camp at Camping Residence Village, near Cavallino? This camping holiday destination is a first-class choice because it is so close to the seaside resort of Jesolo, and the jewel of Italy, Venice, with its enchanting canals, narrow cobbled streets, superb architecture and historical buildings. The islands of Burano, Murano, and Torcello are also spectacular, and just a short boat ride away. Part of camping luxury is to have a well-stocked bar and enticing restaurant at the holiday camping site, and at this resort you have both of these as well as a supermarket and snack food outlets.